Got levels? For those of us who level books in our classrooms to best meet the needs of our readers at their independent and instructional levels, we tend to rely on a few sources to help us level the trade books found in our classrooms and school libraries. As a fourth grade teacher, I was constantly running to www.lexile.com in order to find Lexile levels for the chapter books that I was using in my book clubs and guided reading groups. Lucky for me (and for those of you who level), the Level It app has made a solid and very useful appearance! This app was designed for the iPhone and iPod touch devices, but it also works pretty well on my iPad. 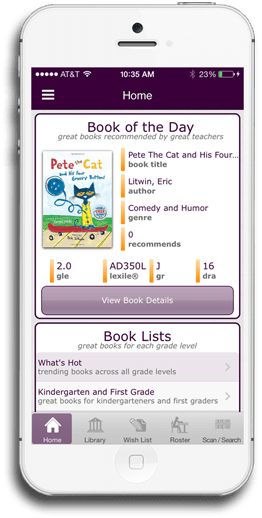 Not only am I able to find Lexile levels for a book, but a simple scan of the barcode also allows me to get Guided Reading levels (GR), DRA, and Grade Level Equivalency (GLE) levels. I can also maintain my classroom library collection digitally and also check books out to students. There is a teacher feature that also allows me to recommend books to my students and their parents. Again…very cool! So what are you waiting for? Try Level It for yourself today! Oh my gosh…can’t believe it’s the end of June and I have yet to post something of substance! I’ve been involved in quite a few trainings lately and am trying to make sense of all of the great apps that are out there…not just iPad/iPod apps but truly legit apps available online…those great spaces that rock my world and make my head spin! Not doing that…not today…no head spinnin’ will be caused by me today. I’d like to, instead, plug a great way to share out technology with your friends and colleagues. Really…this is just about the best way to share out a great app with the fine folks that you share a passion for educating our kiddos using technology. The format is simple really: Just send out an invite that encourages your friends/colleagues to show up at a great place (your classroom, the school library, teachers lounge, favorite coffee shop/offsite hangout) for just a few minutes to learn a little bit about a fabulous app. You can choose to offer refreshments and tunes. And don’t let the “hour” part fool you. My friends and I got these down to about 20 minutes. It’s informal…it’s fun…and it’s an energizing format at the end of a long day of teaching/learning. The best part is that this is a training format that is simple to pick up and a great way to encourage staff members who don’t fancy themselves “techie” to share out and take over some training responsibilities. What a weird question, right? If you’ve used instaGrok, then you know the answer to this and you can Grok with the best of them. If this sounds as foreign to you as Klingon, then you have to join us in the world of instaGrok. This web delivered app is an AMAZING way to help your students get a clearer view of what their research could/should look like. CCSS plainly states that we are no longer teaching our students to write long, drawn out research papers. The focus has now changed to “research on the fly.” instaGrok supports such standards and provides students with graphic and well-organized ways to pull research together. instaGrok has “regular” and “classroom” settings available. Might I suggest that you try these out to see what works best for you? All your students need to do is type in their “big idea.” I chose “cheese.” Then I hit return and instaGrok did all of the “grokking” for me. My big idea now became the center of a brilliant graphic organizer that I can work with in…editing as needed. There is also a nifty little “slider” that allows me to choose the level of difficulty/sophistication that I wish to conduct my research. The great thing about this slider is that, if one of my students is struggling with way too many choices, a single slide allows the teacher AND student to customize the research. instaGrok helps provide plenty of ideas for narrowing research down…cheese has subheading of rennet, cheesemaking, curds, gouda and many others. For less experienced researchers, this feature makes instaGrok especially appealing! The Grok also brings up photos, videos and other web-based resources and puts them in an easy-to-use format along the left-hand side of the page. The student can save his/her Grok and can send the teacher or a parent or classmate a link so as to share what they come up with. I started using this with 4th and 5th grade students last year and my students loved the ease of use and the format. Organization of research was never easier! And, as a classroom teacher, conferring with my researchers was a breeze! Really! I’m moving my way to 3rd grade in a couple of weeks and I still believe that instaGrok is the way to go. I can’t wait to try it out with my new Minions! Give instaGrok a try this fall! You won’t be sorry! I started this last year at my campus and invited “guests” to host an Appy Hour themselves. This became contagious and over the course of the year, quite a few teachers, counselors, and other staff members became Appy Hour hosts themselves. As you are relaxing this summer, consider getting Appy Hours rolling at your school! Enjoy the last few moments of June! Recognize this face? I use this image to teach my fourth grade students about symmetry. Of course, Abraham Lincoln was known for his asymmetrical face, and the above image showcases lines of symmetry beautifully! In the past, I’ve had my students snap photos of each other and then run off multiple copies plus “flip” copies so that we can create similar images of the students with a left side+flipped left side image, the original photo in the center, and a right side+flipped right side image. The kids love this activity so much, but it is REALLY TOUGH to accomplish in a single math period. It also can become a tad confusing and usually it takes a student a few tries to get this correct. In the end, we put the images onto a large set of classroom posters entitled: The SymMEtry of ME! When posted in the hallway, they’re a real crowd pleaser. 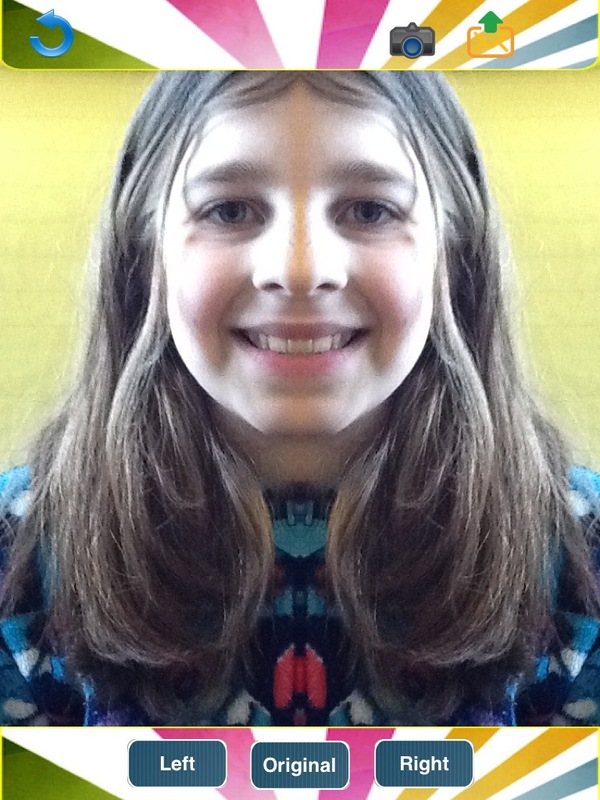 Enter Face Symmetry Tester HD for iPad. This FREE app allows the user to take a photo and then create images with the left side and right side of the face. What used to take my students over an hour now takes 20 minutes for a class of 25 kiddos. PLUS…I can make a cool slideshow of the students since the images are saved with my photos. How cool is that? 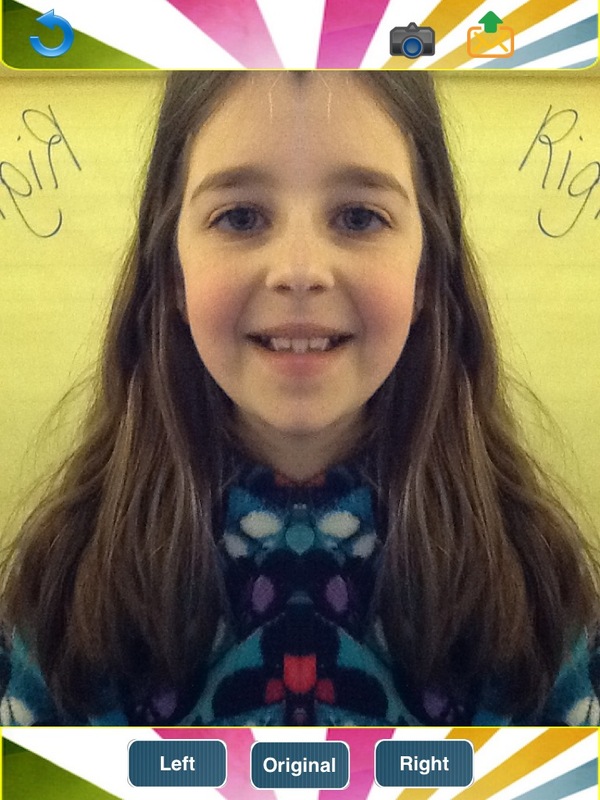 Face Symmetry Tester HD is an excellent resource that you and your students are sure to love! Holy cow! Is it the end of the month already? How did April slip by? A fabulous resource that I love putting up on the Smartboard is Art Snacks. Kevin Honeycutt is the narrator and “artist in residence.” His offerings include lots of kid-friendly things to draw…sharks, bugs, and even the occasional cartoony looking cat locked in the car. My kids love Art Snacks and this is a great way to pull them together as they come in from recess. I have this up and running as they walk through the door. Needless to say, they come in quietly and look foward to drawing with Kevin. Just like any good snack, Art Snacks are short…usually about 10 minutes or less. They always leave you wanting more! They cover some of the CCSS (listening standards) and they engage and motivate just about every kiddo in the room. What are you waiting for? Why not try out an Art Snacks with your students today? You’ll be glad you did! Ok, I’ll say it…”I’m overwhelmed!” Always. Constantly. And looking at all the technology fun piling up on my laptop and iPad isn’t helping right now. I just want time. TIME. Time I tell ya! Never fear…my superhero, Sal Khan, is here! Now I know that most of you are probably pretty darn familiar with Sal Khan and his “favorite uncle” casual style of sharing math concepts using an IWB format. All of the resources on this site are FREE FREE FREE and are of really great quality. With tutorials on everything from basic addition to calculus, Khan Academy has so many features, far too many to name…you really have to dive in to this site and check out everything there is! It’s that good! I use Khan Academy throughout my math curriculum: for reteaching concepts to struggling students, as an independent center for students who are ready to move ahead and learn something new, and as a self-serve kiosk for students who were absent the day I taught a concept. I also use Khan Academy as a resource to “frontload” math instruction for my struggling mathematicians who need a confidence boost prior to learning a new concept. For instance, I am about to teach adding fractions to my fourth graders. I pulled a group of 5 students who have been struggling with fractions throughout the unit and provided a frontload activity that included Khan Academy’s video segment on adding fractions. These students were allowed to explore the concept at their own speed prior to whole class instruction. The kiddos with the frontload were more relaxed and were able to take on leadership responsibilities in their groups as hands on activities were introduced. This is a far cry better than where they would usually be during the introduction of new concepts: slumped in their seats, hoping that their teacher will never call on them. With a hefty boost of Khan, these students are eager to share what they’ve learned. Again, very cool! Are you using Khan Academy with your students? If so, I’d love to hear about how you use it! I’m always looking for ways to shake things up a bit when I have students complete an “exit slip” for math. My fourth graders are still working at “shoring up” their basic math facts, especially multiplication and division, so I like to find ways for students to showcase these skills quickly and collaboratively. Enter the Flash To Pass App. 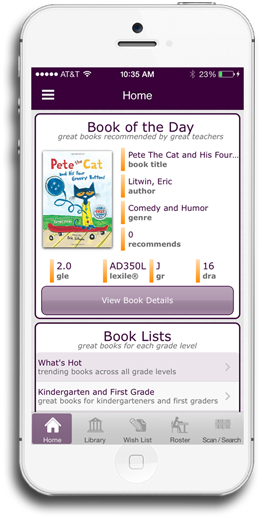 It’s FREE at the App Store and is highly engaging for those intermediate-level students (Grades 3-6). I can stand at the door while my students “exit” by entering the correct answer on my iPad. There are quite a few settings on this app that allow the user to increase or decrease the level of difficulty or change the operation. Flash To Pass is also a terrific option for a stand-alone math station. Flash to Pass allows the user to go beyond the allotted time and gives great feedback. Who can say no to FREE and GREAT APP? It’s the deal of the day! For those of you familiar with Sal Khan over at Khan Academy, you know the power of “screencasting.” Screencasting is basically video footage that includes what you are doing “on the board” with your voice. I’m “clear as mud” here, so I suggest you take a look at Sal’s work at Khan Academy to really get a feel for the power of screencasting. I use Khan Academy for so much in my classroom: flipping, concept reinforcement, reteaching, preteaching and enrichment. With Show Me, a free app, I can harness the power of screencasting and create my own screencasts…simply…easily. 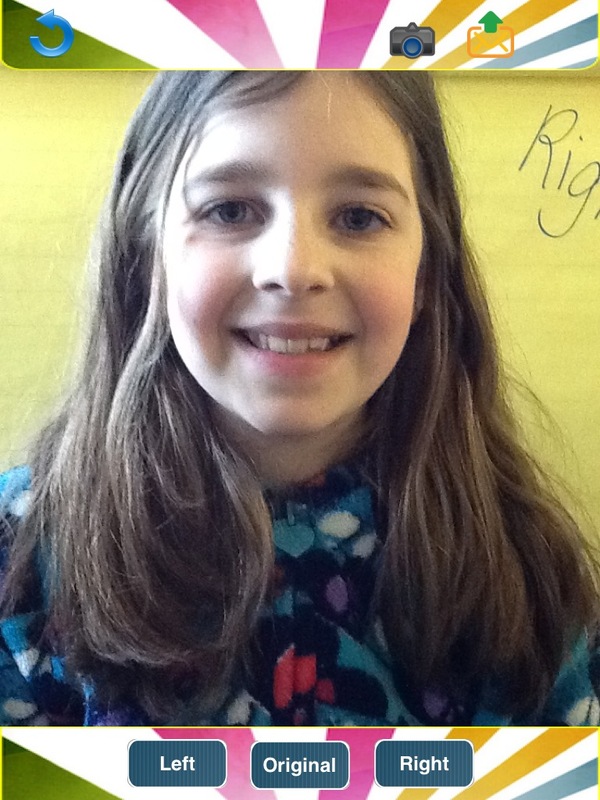 Better yet, my fourth graders can also create their own screencasts. The Show Me app, available at the App Store, is easy to use, with a minimal amount of bells and whistles. This makes it easy for the teacher and student alike to create screencasts. As a teacher, I can create accounts for each of my students to post screencasts. I’m loving Show Me as a way to have my students share their understanding of math with me. I send each kiddo out to a quiet space to record their understanding of a math problem while I’m teaching in small group. I can sit down later in the day and watch/listen to each child’s Show Me and evaluate the child’s understanding of the concept. I can also sit down with the student later and have him/her evaluate the work on the screen. It’s amazing what my students catch when they sit down and listen to their own thinking! Click on the image to view the Show Me on lattice multiplication. The kids love it…I love it…and parents enjoy seeing their child’s work emailed to them versus looking over a report. Communication and understanding have never been more interactive…or engaging! I’d love to hear how you are using Show Me! Ask my students and they’ll say “Yes. I’ve been Bumped.” Now…of course being “bumped” isn’t a good thing when you’ve got a hot cup of coffee in your hand or when you are traveling by plane, but if you are bumping using the Bump App, then chances are, you are being quite productive and having a good time too! The Bump App is a free app that can be used on your mobile devices. The App Store and Google’s Play Store both offer this free app. It works great on your smart phone and on your iPhone, iPod and iPad. Here’s how it works…when two mobile devices with the Bump App are bumped together they can share photos, files, etc. You can also bump files from your phone to your computer. This can be pretty useful in moving photos you take with your phone to your computer. With Bump, you aren’t actually bumping the devices…you are bumping hands that hold the devices. Bump is a great way to allow sharing and it is also quite fun. Students collaborating on a project can simply bump their files over to another student in their group. A friend takes a terrific photo and simply “bumps” it over to your device. Bump also has an app for gaming…pretty cool stuff! My 11-year-old son and I have just started using this to share files between our iPads and are having lots of fun with this. My students love this too! I’d love to hear about your bumping experiences! Anywho, having my student really listen to what she sounded like did worlds of good…and the problem was corrected quite quickly. In order to do this, we used Garage Band on the Mac to record her read-aloud. Now, with iPods and iPads, there are more portable options to record my students read-alouds. Enter Talking WeeMee. This App can be purchased on iTunes for $0.99 and is designed for the iPhone and iPod Touch, however, it works great on the iPad as well! The great thing is that you can email the final “video” to yourself or your student’s inbox or you can post it to a FaceBook page easily within the App. I’ve actually sent these to a few of my student’s parents and have received rave reviews. An added benefit: parents actually watch and LISTEN to these clips. This is, in my opinion, a much better way to present feedback to parents….at least better than a paper report! The student can choose an “avatar,” a background and a “voice” for the personalized WeeMee. In order to have the student really “hear” his/her reading, I insist on using the “Normal” voice. Try the “Chipmunk” voice just for fun, but a student should really hear himself/herself in order to get the most out of this App. Talking WeeMee only records 20 second clips, but in 20 seconds you can really get a feel for how a student sounds and how fluent he/she is with their reading. My fourth graders love the interactivity of using Talking WeeMee to record their reading and the clip gives a quick taste and a wonderful snapshot of student reading fluency. All 23 of my students have grown at least 2 reading levels since I started using Talking WeeMee with them during our Reading Fluency stations. It’s kid-friendly, easy to use, and easy to access as a video clip. There are bunches of these Talking WeeMees on youTube. Check them out!